In a news release on Monday, the Republican highly praised the film and Eastwood, who was a speaker at the 2012 Republican National Convention that nominated Mitt Romney. 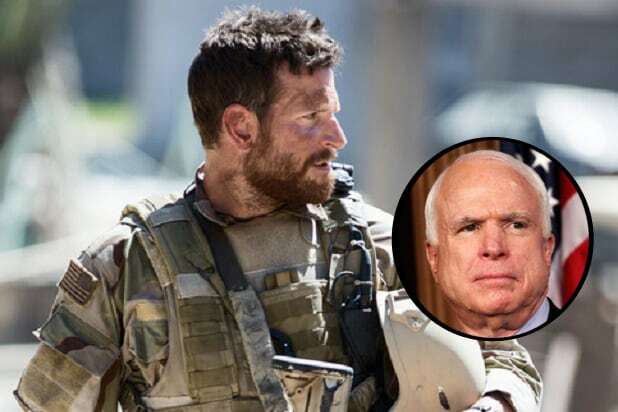 “I congratulate Clint Eastwood and the entire cast and crew of ‘American Sniper’ for an outstanding cinematic achievement honoring the life of a genuine American hero, Chris Kyle,” said McCain in the statement. “This film depicts with subtlety and compassion those brave few who serve our nation in uniform, their experiences in the horror of war, the burdens they often bear upon returning home, and the untold sacrifices of their families. McCain’s comment came amidst criticism of the film from some quarters for glorifying the role of the sniper. Among those who have raised questions about the film are filmmaker Michael Moore.